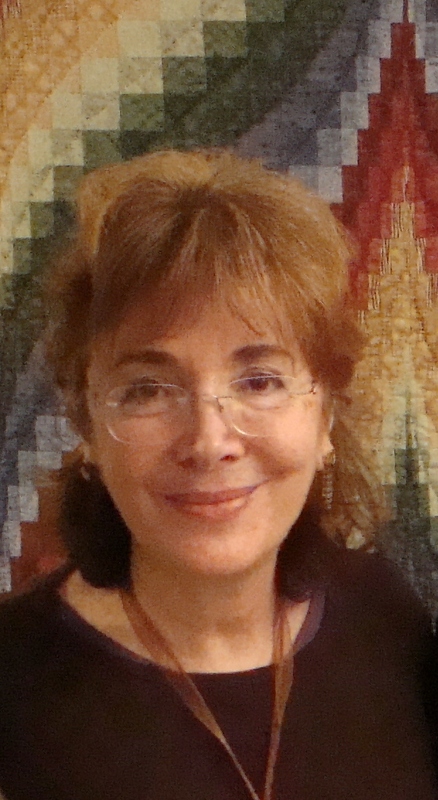 Jean Zaru, a Palestinian Quaker woman*, offers this insight as she writes about the impact of the Israeli Government’s occupation of East Jerusalem, the West Bank, and Gaza. She offers a lens for analyzing structures of injustice such as political, cultural, economic, and social structures. 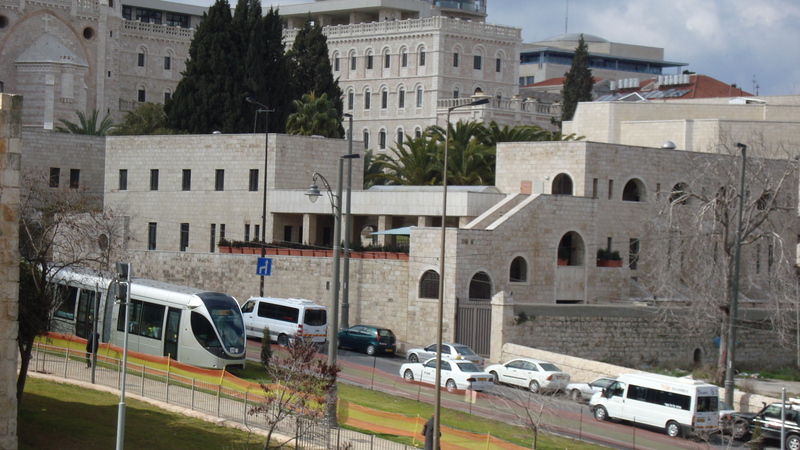 In this posting, I focus on the Jerusalem Light Rail Train (JLRT) and how it is part of the silent, economic structural violence occurring in East Jerusalem. Through such violence, Palestinian society and Israeli society in Jerusalem are being torn apart. Ending this occupation and finding a just peace is critical for future co-existence. 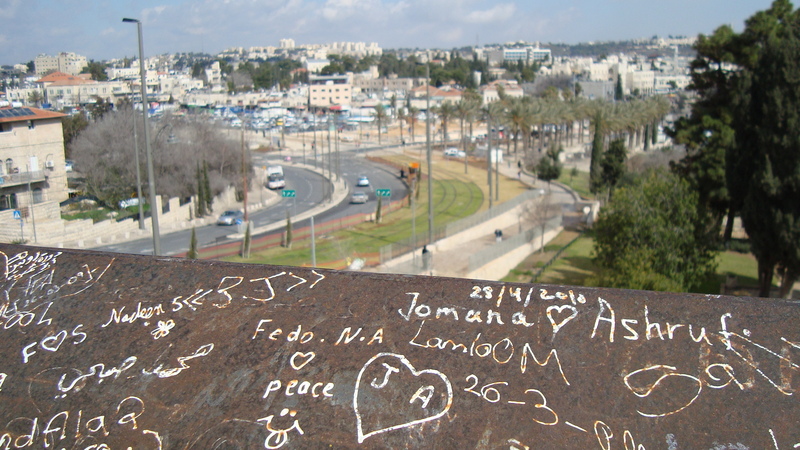 The JLRT appears at first glance to be evidence of improved infrastructure in East Jerusalem. It has a sleek design and a street-level entry system for passengers. (See videos #1 and #2 [At the 4 min. 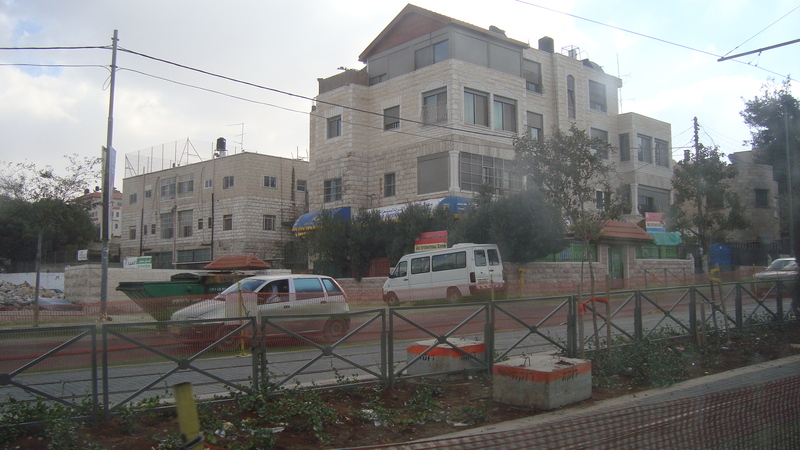 point of #2, the JLRT drives past the site of the Palestinian home demolition in French Hill; I described it on 5 Jan. 2011]). However, this new transportation feature is a bizarre sight amid the crumbling environment that is East Jerusalem. 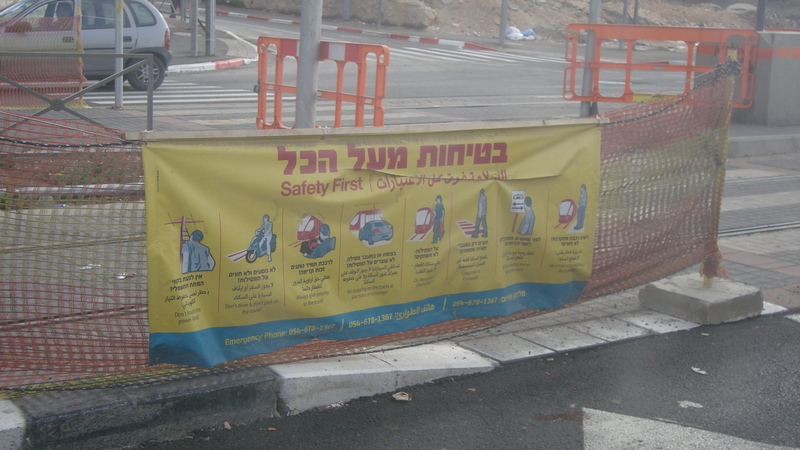 The Jerusalem municipality is responsible for maintaining the infrastructure of East Jerusalem; and yet, despite paying into the same tax system as people from West Jerusalem, those in East Jerusalem are watching their area fall apart. “…the Jerusalem municipality has not provided adequate planning, construction or infrastructure to their [East Jerusalemite] neighborhoods for decades, a legacy of discriminatory neglect that starkly contrasts with the general situation in West Jerusalem and in Jewish settlements in East Jerusalem. 115 … The municipality itself is responsible for the poor condition of the road and sewage networks in East Jerusalem, and for the dense and unplanned nature of its residential areas, in sharp distinction to Western Jerusalem.” (Separate & Unequal, 2010, p. 50; the superscript note “115” refers to the following document: ACRI, “Human Rights in East Jerusalem – Facts and Figures, May 2010,”). Upon closer examination, the JLRT is an ominous development. East Jerusalem is occupied, yet through illegal settlements, the Israeli Government is transporting Israeli citizens into this occupied territory. 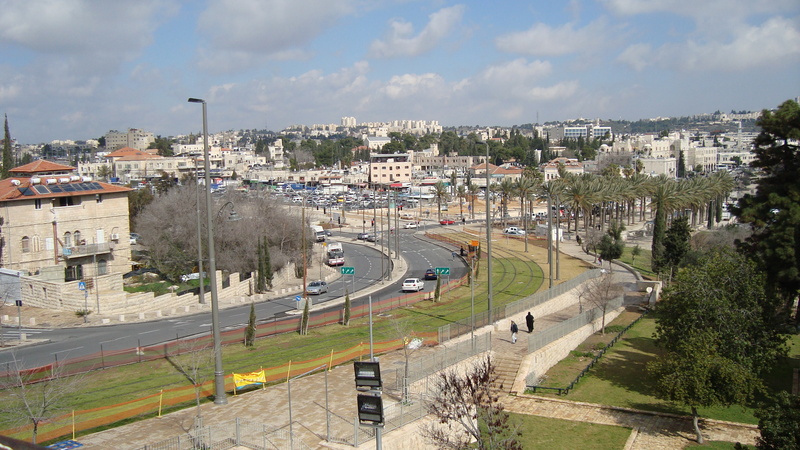 Through the JLRT, settlers are being given ease of access to central Jerusalem for work, school, and other daily activities. (See the locations of settlements in the deep purple on this map). This population transfer is a war crime according to Article 49(6) of the Fourth Geneva Convention (see here and here). By creating this people-mover system, the Israeli Government is proceeding with its annexation of East Jerusalem toward its goal of a united capital for the state of Israel. Such annexation is illegal according to international humanitarian law (See here and here). I perceive that the JLRT is an example of economic structural violence. Jean Zaru observes that, “Violence, after all, is not only about war and weaponry. Political, cultural, economic, and social structures have been at work in a destructive way throughout our community” (Zaru, 2008, p. 61). The examples that she gives for economic structural violence include restricted freedom of movement by Israeli road blocks and control of roads; economic marginalization and exclusion; and destruction of civil society and infrastructure. 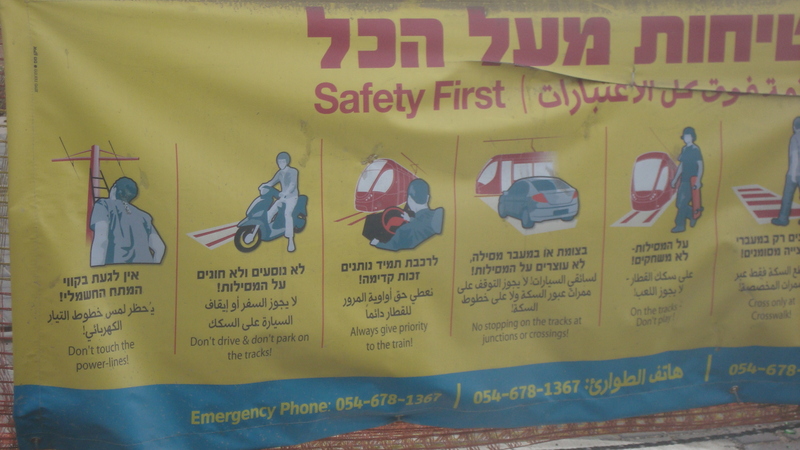 After three months of riding the Green bus to and from Shu’afat refugee camp, Qalandiya Checkpoint, and the Old City (all in East Jerusalem), this violence seems mind-bendingly subtle. Looking out the window, I see a diversity of people in terms of ethnicity, race, religion, age, gender, profession, civilian/military status. Yet, East Jerusalem is not a place in which all of these people mix and mingle easily. 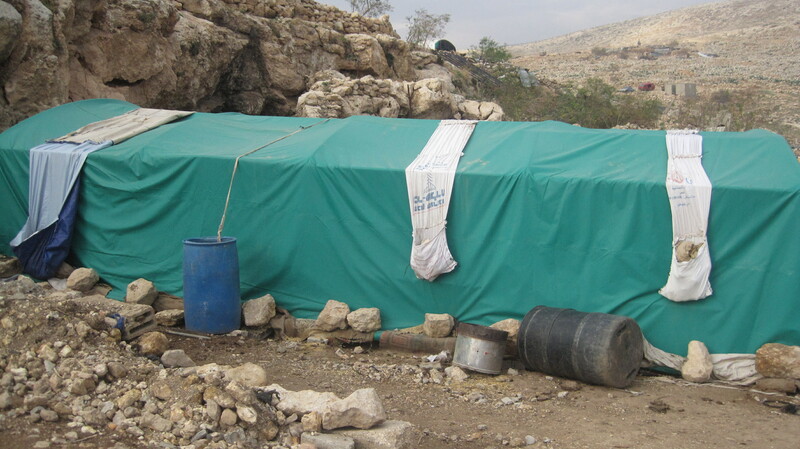 The Israeli citizens who live in East-Jerusalem settlements have an illegal presence. I’ve heard local people speculating about the anticipated ridership of this JLRT; it would seem that West Jerusalemites and the illegal settlers may benefit most. An unnamed separation exists amid the apparently benign streetscape. The corporate complicity in the construction of the JLRT is a dimension of economic support for the Israeli Government’s occupation of East Jerusalem. See this article and its references for more info. With this posting, I am beginning my transition from an on-the-ground witness as an Ecumenical Accompanier. Over the next week or two, I will return to the vantage point of Canada. I will become an Ecumenical Advocate holding dear the relationships that I’ve developed here with those who have shared their experiences with me. Please pass along the address for this blog to friends, family, colleagues, and acquaintances. Check out the links for various publications. We need to start talking about these silent forms of violence as much as we talk about the news headlines. In this way, we as global citizens can contribute to ending the silence and the occupation. * Jean Zaru is the Presiding Clerk of the Friends Meeting House in Ramallah and a founding member of Sabeel, an ecumenical Palestine Liberation Theology Center in Jerusalem. Barghouti, O. (2009). Derailing Injustice: Palestinian Civil Resistance to the “Jerusalem Light Rail”. Jerusalem Quarterly, 38, 46-58. Available here. The Civic Coalition for Defending Palestinians’ Rights in Jerusalem. (2009). 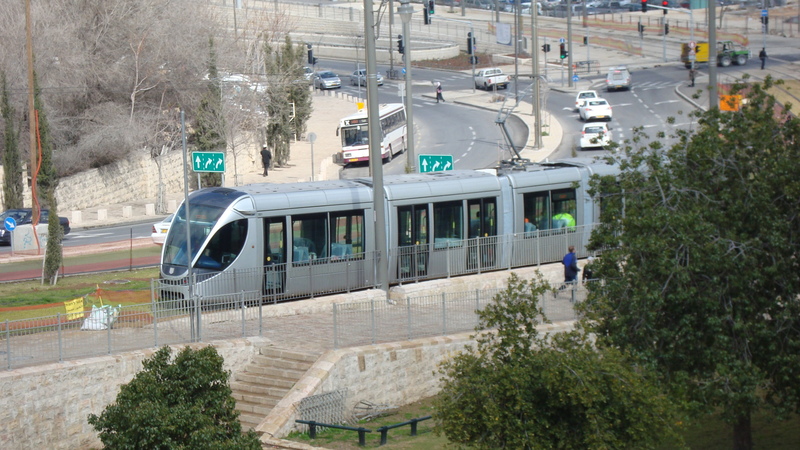 The Jerusalem Light Rail Train: Consequences and Effect. Jerusalem: Authors. Available here. Diakonia’s webpage regarding the JLRT and its violation of international humanitarian law. Available here. Human Rights Watch. (2010, Dec.). Separate and Unequal: Israel’s Discriminatory Treatment of Palestinians in the Occupied Palestinian Territories. New York: Authors. Available here. Choosing to participate is an amazing act of courage to know ‘the other’. 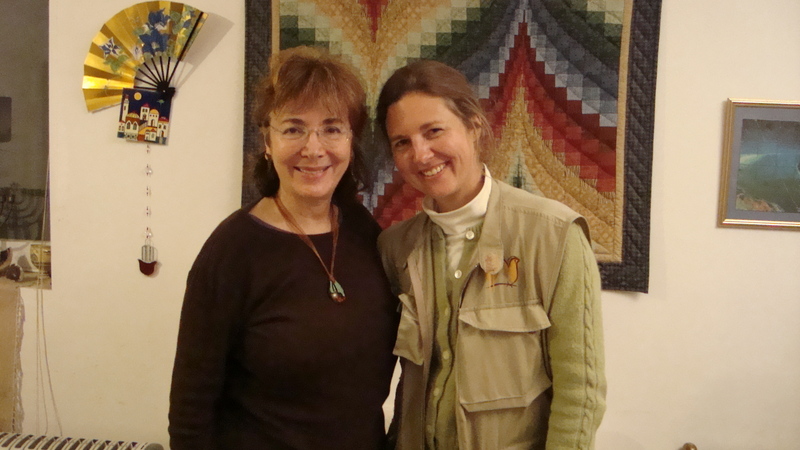 In May 2009, 22 of us from Canada shared a very special visit in Jerusalem with Dalia Landau. She co-founded Open House Ramle with Bashir Al-Khayri in 1991. She continues to serve as Co-Director of Open House as it celebrates its 20th anniversary in 2011. On that day in May 2009, she described the story that she shares with Bashir, as recounted in the book, The Lemon Tree, by Sandy Tolen. In describing how her life is intertwined with Bashir’s life, I came to appreciate how Dalia has, time and again, chosen to live in the heart of the Israeli-Palestinian conflict. Many times, she has been presented with a choice to leave the tension, confusion, and pain of the conflict. Each time, she has chosen to continue to lean into it to try to make a difference. Through Open House, she and others, who are also trying to make a difference, have been creating spaces for children and youth who are Israeli and Palestinian, Jewish, Muslim, and Christian to play, talk, and listen to each other. 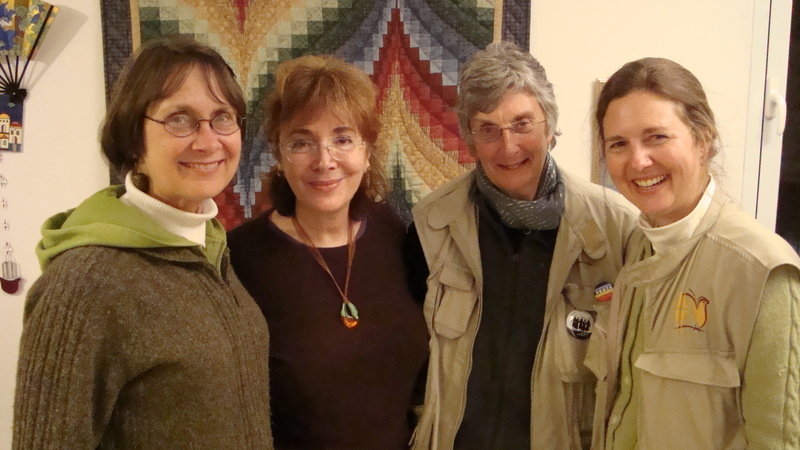 On 14 Feb. 2011, three of us, Ecumenical Accompaniers, shared a meal with Dalia. The evening was very meaningful for us who have spent almost three months walking with Palestinians and Israelis who are working to end the Israeli Government’s occupation of Palestine. We have seen and heard conflict and pain. We have felt so many emotions. We have asked to hear people’s stories. We have discussed details of international humanitarian law. We have asked for clarification. We have listened, and we have listened some more. Even amid the challenging moments, we have also shared the joys of daily life here. We have shared a sense of solidarity with those who have opened their hearts and homes to us. “It was also when I met Bashir when they knocked on the door in 1967 to see the house, their house, they were three people, from the same family. Then I went to Ramallah to visit Bashir’s family; it was just after the  war… . His family was probably asking, “Who is this person?” I could see their thoughts…. But it’s through the ‘joy in the encounter’ – then, one creates trust. Depending on the age group, you can bring up issues. Like teens, during the [Second] Intifada, they would discuss incredibly deep issues – it moves the heart – how they stuck it out. They came back every week – it was unbelievable – the courage of it. One group of Jewish Israelis, they were 18 years old, pre-army, found us on the Internet. They were doing social service (e.g., volunteering at schools to speak about ethical issues). They wrote describing, “We’re going to the army in one year yet we haven’t ever met any Arabs”. They had grown up in Jewish neighbourhoods in Tel Aviv and had had no dialogue with Arabs. They wondered, “How were they going to justify going into the army. They asked Open House if we would arrange a dialogue for them [with Arab Israeli teens.] We met with them for one year. They were very evolved human beings. It was during the [Second] Intifada. The richness of the issues they raised! Of course, the Arabs [teens] confronted them: “Why don’t you do conscientious objection?” Most of the Arab and Jewish teens agreed to disagree. Some friendships broke down. Of course, the encounter is very, very deep. If it’s compulsory service, a person has no choice. But they wanted to explain why going into the army was important [for them]. For example, “We protect all citizens including you [as Arab Israelis].” “I want to be in the IDF – the Israeli Defence Force. Without the army, Israel wouldn’t exist for a moment. So, we’re paying the price.” Click here. “For older children, high-school students, “The Journey” program, they travel throughout the country and hear the narratives of all parties. It is an intense week-long experience.” Click here and here. 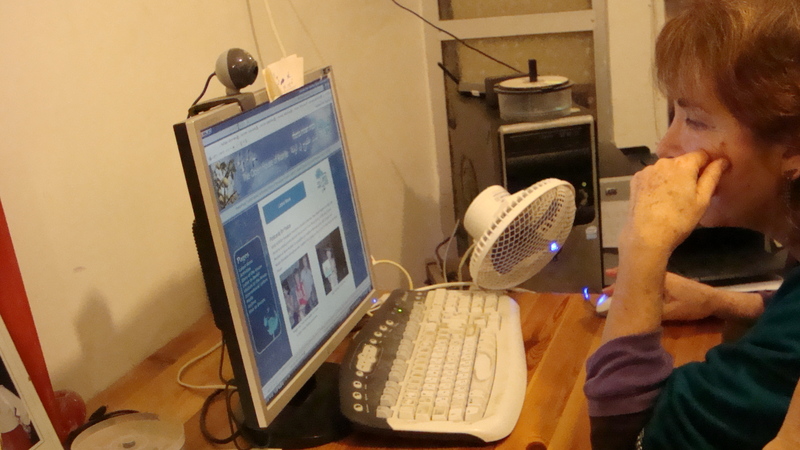 As Open House Ramle celebrates its 20th anniversary in 2011, they will be renewing the year-round co-existence programming. The summer camps have continued every year but the year-round programming stopped for a few years due to lack of funding. The hope is to undertake a joint sculpture project. Through the course of one year, children in an Arab school and children in a Jewish school will each develop a sculpture or a complex of sculptures with a professional artist who is an Orthodox-Christian Arab. At the end of the year, the children will exchange the pieces as gifts. For that year, they will be thinking of ‘the other’. To visit additional resources, look for the underlined words (they’re hyperlinked) throughout this posting including three links below. The sight of this surf. But it isn’t just a sight or sound or taste. It is bigger, a feeling that moves through, and past, each and all of us. It’s a feeling that moves through, and past, each and all of us. “The army plays with us like sheep. It’s humiliating. I can’t stand it.” -In conversation with a medical doctor describing the Qalandiya Checkpoint, 14 Feb. 2011. For an article about the recent closure of Hawara Checkpoint north of Jerusalem and of Ramallah and south of Nablus, click here. 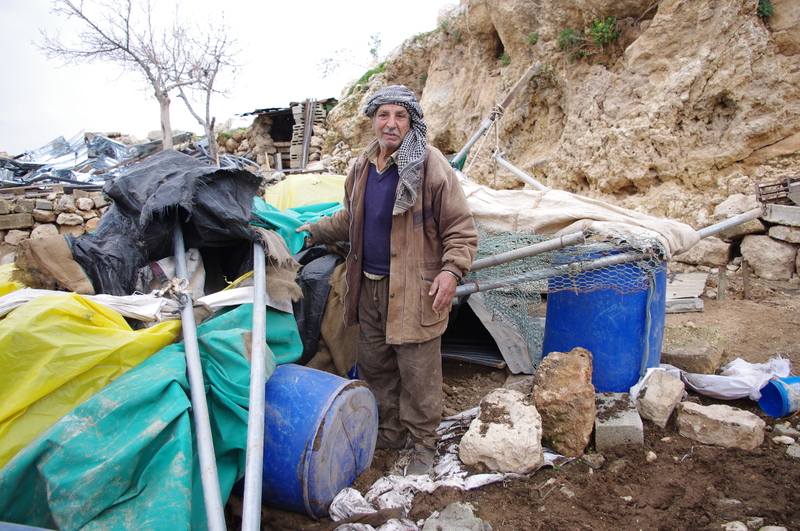 The EAPPI Team in Yanoun stood with the people of Khirbet Tana this past week after their homes and animal shelters were demolished by the Israeli Army for the fourth time in recent years. For a descriptive Fact Sheet from the United Nations Office for the Coordination of Humanitarian Affairs (UNOCHA), click here. 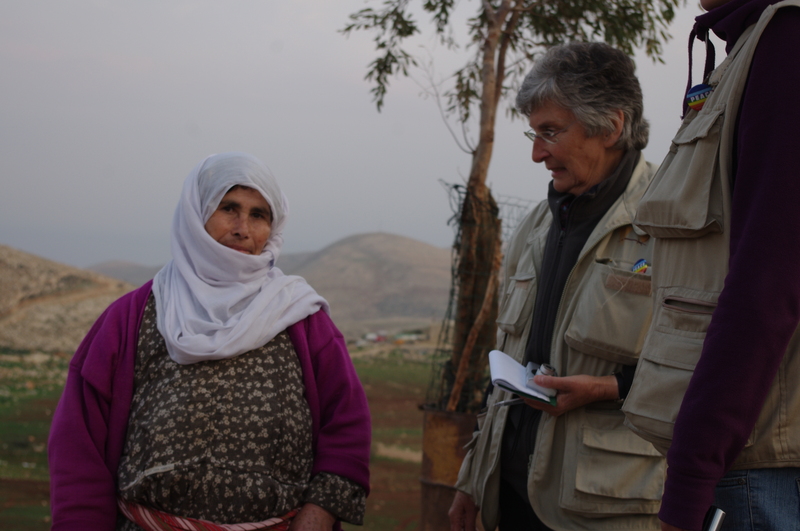 On 5-6 Feb. 2011, I visited the EAPPI team that is placed in Hebron. I don’t expect that I will forget these 24 hours very quickly. I arrived in time for the settler tour. This is a 3-pm event on Saturdays in the Old City of Hebron. On 5 Feb. 2011, about 35 Jews visited under the eye of about 20, fully armed, Israeli soldiers. From a 2009 travel book that I bought (see this webpage and scroll to the end of the page for a sample of this English-language document) – “In the old city there are 5 settlements, with a total of around 500 Jewish settlers coming mainly from the United States and France. They are located along the Street of the Martyrs, from which Palestinians are banned, which links Kyriat Arba to Tell Er-Rumeida. The settlers are well armed and protected by between 1,500 and 2,000 Israeli soldiers. 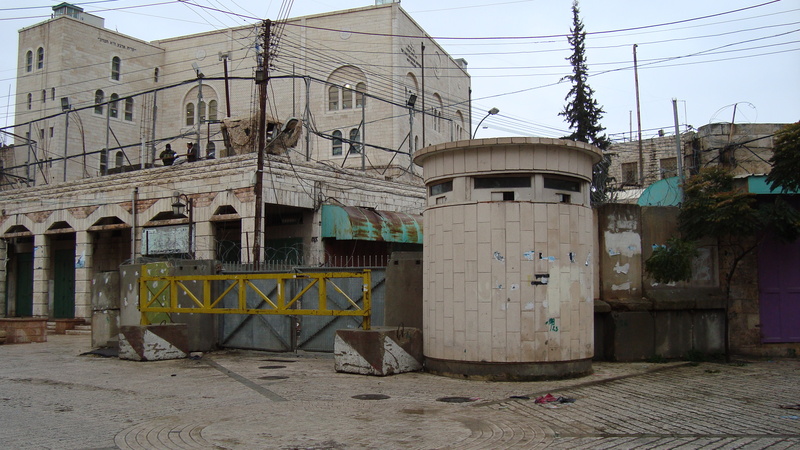 What used to be the centre of commercial and social activity in Hebron is today both bleak and depressing. 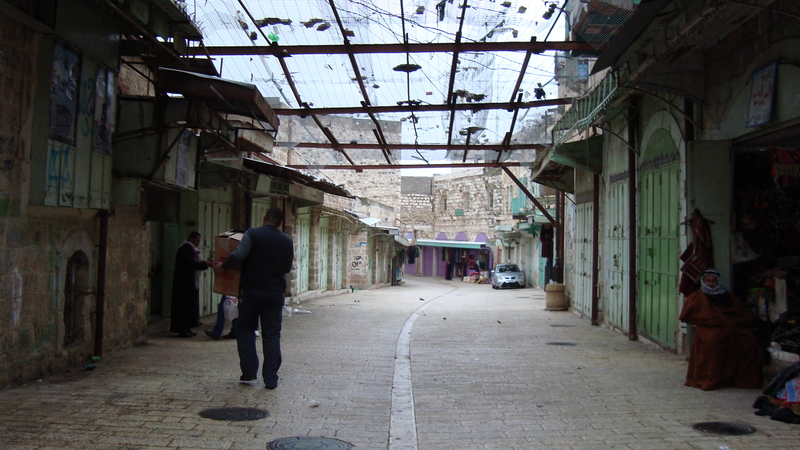 Although it retains its authentic character the old city is being strangled by the restrictions, which are enforced by metal barriers, turnstiles, omnipresent barbed wire, and blocks of concrete. I walked with Laura, an EAPPI Hebron Team member, behind the 12 soldiers who walked behind the tour group. (Eight soldiers walked ahead of the group.) At the end of the tour, we found ourselves exiting a laneway and inadvertently between the main group and three tour members who had stopped to take a few final photos. Two soldiers accompanied the three people as they walked by us and joined the rest of the group before entering this gate. Who do you see within this vest? Who are you that you see me in this way? What has brought us together in this place? I am guessing that you have more layers than this surface. I can feel them. And the fear. And your shock. Can you feel my shock? Are you feeling a kind of oppressive pressure-like nausea, too?